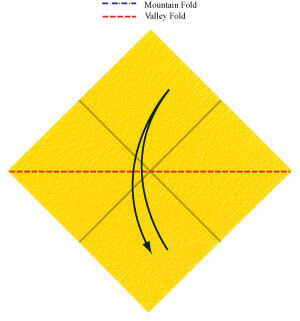 Apply the vertical valley-fold of the step #2 and then unfold. Prepare to rotate the origami rose model by 45 degrees. Rotate the origami rose model by 45 degrees. 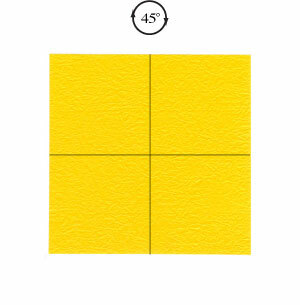 Prepare to apply a horizontal valley-fold and then unfold.